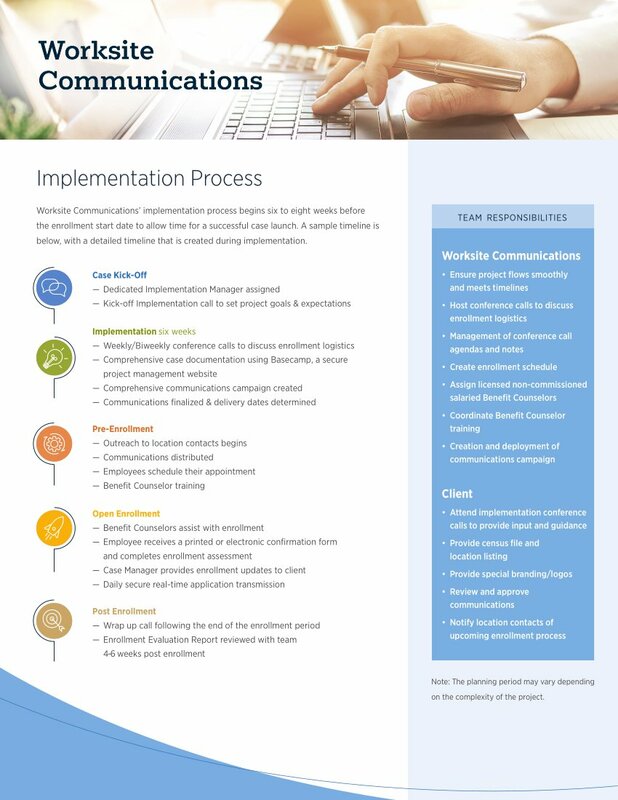 Our implementation process begins six to eight weeks before the enrollment start date to allow time for a successful case launch. The planning period will vary depending on the complexity of the project. A sample timeline is included below with a detailed timeline that is designed during implementation.